Mr. Mercedes made a splash last year with a party event at the Omni, ice cream men around town, and t-shirt printing at Wired Café. AT&T and the Audience Network announced their plans for SDCC 2018 this morning and it will take fans of the series through an exciting immersive experience. I profiled the series after participating in the press room and watching the first episode – I was hooked from the start. The “Mr. 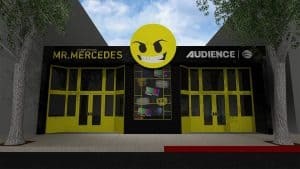 Mercedes Immersive Experience” will give fans a glimpse into the past and a peek into the future of the AT&T AUDIENCE Network original series based on the trilogy by Stephen King. Fans can be the first to play the virtual reality (VR) escape room game, “Mr. Mercedes: Lair Escape,” on the HTC Vive Pro – the next generation of VR headsets. In the “Mr. Mercedes: Finders Keepers” augmented reality (AR) adventure game, they’ll collect clues to unlock never-before-seen content and special prizes. Augmented Reality Adventure Game – Download the app to embark on an AR-driven investigation helping Detective Bill Hodges crack the case and claim a reward if you succeed. Virtual Reality Escape Room Game – Be fully immersed in a virtual escape room inside Brady’s lair. Escape before time runs out or you’re trapped forever! Recreating the Physical World of “Mr. Mercedes” – The show’s set designers are recreating Finders Keepers, Mercy General Hospital and Brady’s lair using actual props. Bringing Brady to Life Through Projection Mapping – 3-D light projection will creepily bring Brady to life in his hospital bed. Is he in a coma or did you just see him move? Lenticular Photo Experience – This photo op will transform the participant’s face into Brady’s along with a socially shareable GIF. Private Screening Room – Media, VIP and lucky fans will get the chance to watch a sneak peek of season 2. The experience is located at 643 G St, San Diego, CA 92101 and will be open Thursday, July 19 – Saturday, July 21 from 10am-6pm PT daily. Fans who pre-register for the “Mr. 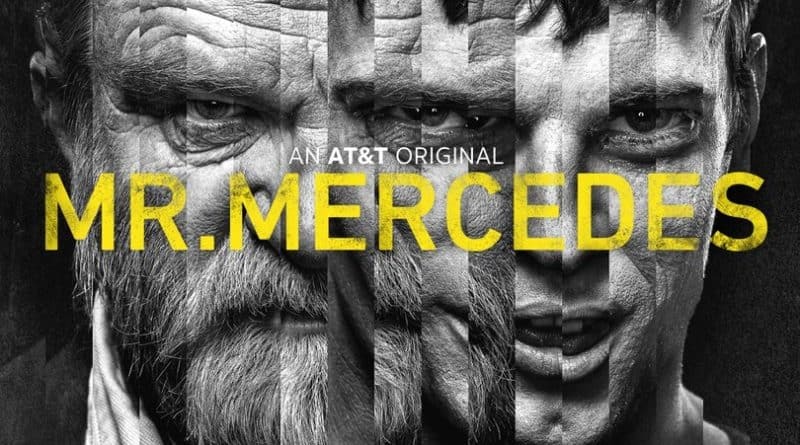 Mercedes Immersive Experience” at att.com/MrMercedesSDCC will receive a commemorative pin and chance to get a fast pass. The season premiere will be on Wednesday, Aug. 22 at 10 p.m. ET/PT on the AUDIENCE Network. Season 2 will pick up a year after Brady Hartsfield’s thwarted attempt to perpetrate a second mass murder in the community of Bridgton, Ohio. Since the incident, Hartsfield has been hospitalized in a vegetative state. Retired Detective Bill Hodges has done his best to move on from his Brady obsession, teaming up with Holly Gibney to open Finders Keepers, a private investigative agency. But when unexplainable occurrences begin to affect hospital staff members attending to Brady, Hodges is haunted by the feeling that Brady is somehow responsible. The original cast, which includes Brendan Gleeson (“Harry Potter”) as Detective Bill Hodges, Harry Treadaway (“Penny Dreadful”) as Brady Hartsfield, Jharrel Jerome (“Moonlight”) as Jerome Robinson, Scott Lawrence (“Avatar”) as Detective Peter Dixon, Breeda Wool (“Unreal”) as Lou Linklatter, Justine Lupe (“Francis Ha”) as Holly Gibney, Nancy Travis (“How I Met Your Mother”) as Donna Hodges, and Holland Taylor (“The Truman Show”) as Ida Silver, is joined by Jack Huston (“Boardwalk Empire”) as Brady Hartsfield’s doctor Dr. Felix Babineau, Tessa Ferrer (“Grey’s Anatomy”) as Dr. Babineau’s wife Cora Babineau, and Maximiliano Hernandez (“Sicario”) as Assistant DA Antonio Montez for season 2. Are you planning on adding this offsite to your SDCC plans? Click here to join the conversation on the FoCC forum.